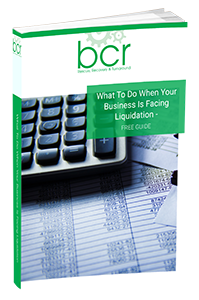 The following case study demonstrates our knowledge of liquidation. The company had operated a successful business for over 50 years with a strong customer base that included many overseas companies. However, they started to experience bad debt problems together with a large insurance claim and a redundancy payment that cost the company over £30,000. The directors tried to take remedial action by putting staff on shorter working hours. However, they were still unable to cope with all the overheads that had to be paid per month. Therefore we knew we had to seek professional advice. The directors came to BCR knowing it was a reputable local business that would offer independent advice. The initial free consultation enables the directors to go through all the options available. It was decided that the best option was to liquidate the company. We met and spoke to the insolvency team who was very understanding and reassuring throughout. Once in liquidation, the BCR team were continuously very helpful and supportive, we knew that if we needed any information or advice we could just pick up the phone and contact one of the very experienced insolvency team. It was excellent service.